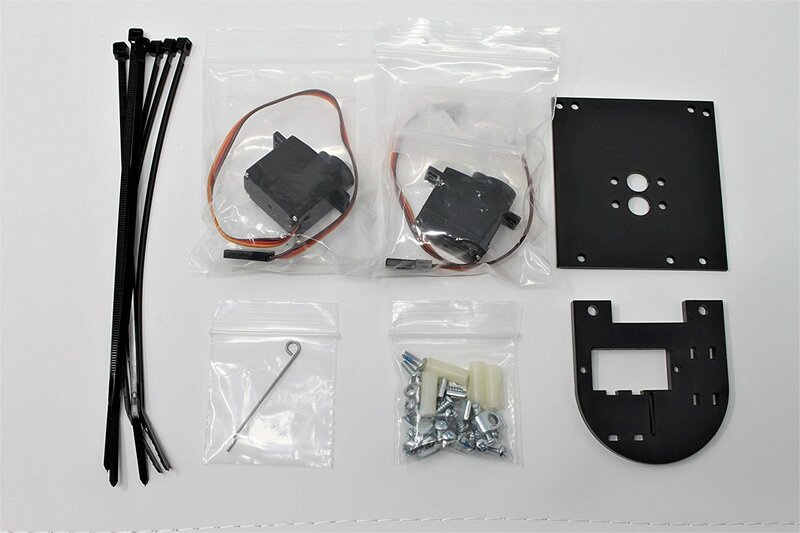 The kit includes two laser-cut acrylic pieces for the base, two servos for the pan and tilt axes, and all the mounting hardware and cable ties you need to assemble. The Pan/Tilt program is built into PixyMon so you can be up and running quickly. The pan/tilt can use the USB cable for power. 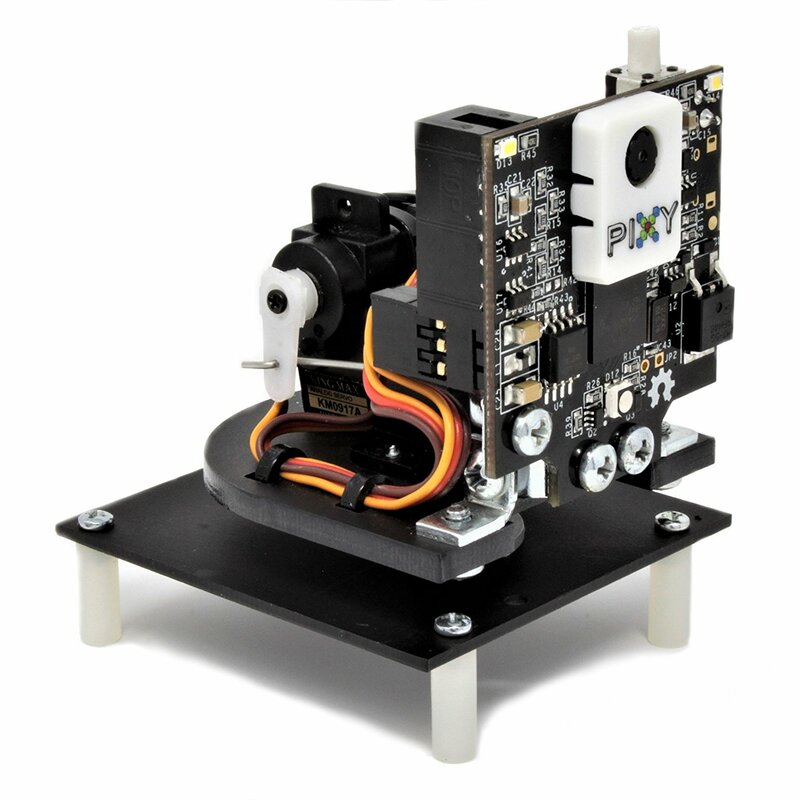 The Pixy pan/tilt mechanism comes in a kit and requires some assembly.